The Houston area is experiencing a heat wave, with forecast temperatures entering the triple digits as early as Friday and into the beginning of next week. When heat index values (ie, the “feels like” temperature) reach 108 degrees, Heat Advisories are issued and signal an elevated threat of heat-related illness..
We are reminding residents to stay safe during the heat wave. A few tips: Stay hydrated. Check on vulnerable neighbors and loved ones. Limit outdoor activity during the afternoon hours. Bring your pets inside. If you or your loved one do not have adequate access to air conditioning during periods of extreme heat, you may seek relief in air conditioned spaces such as shopping malls, museums, movie theaters, recreation centers, multi-service centers, or libraries. Be sure to verify hours of operation in advance. 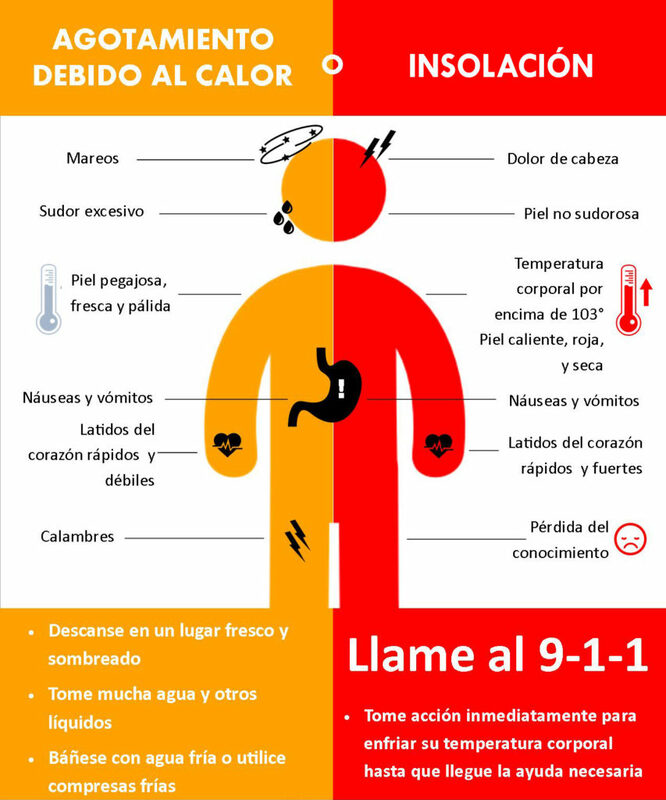 Prolonged exposure to extreme heat without proper hydration and other precautionary actions may result in heat exhaustion or heat stroke.